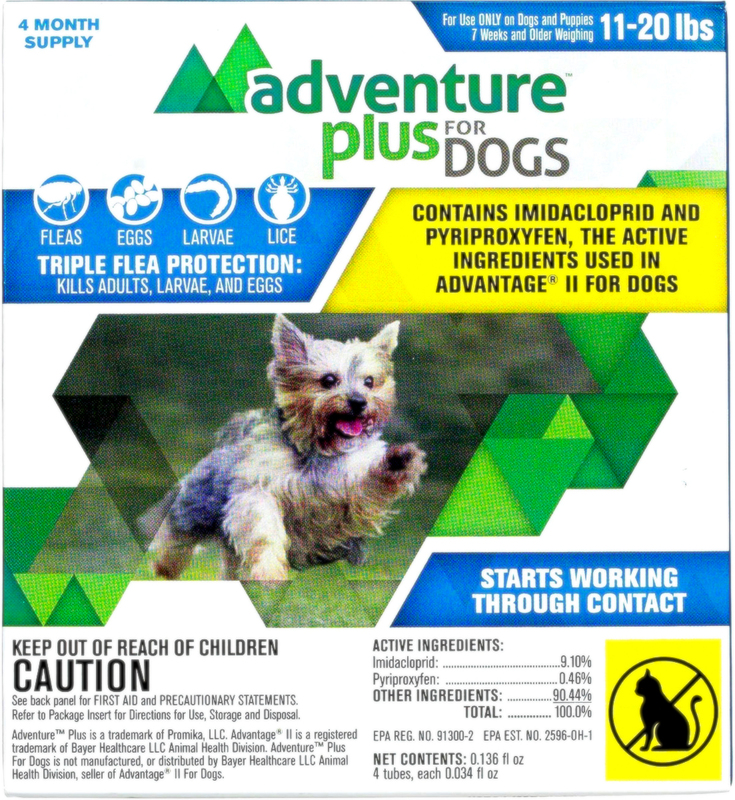 Stop fleas on contact with Adventure Plus for Dogs. 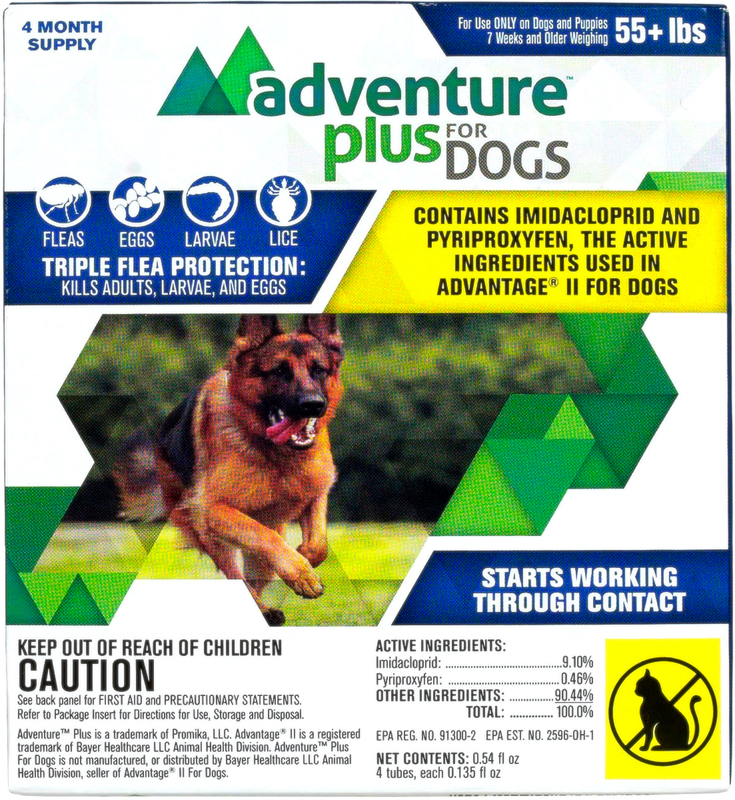 Adventure Plus stops fleas before they bite using the same active ingredients used in Advantage® II for Dogs. It also eliminates eggs and larvae to break the flea life cycle. It's waterproof and won't wash off once applied. 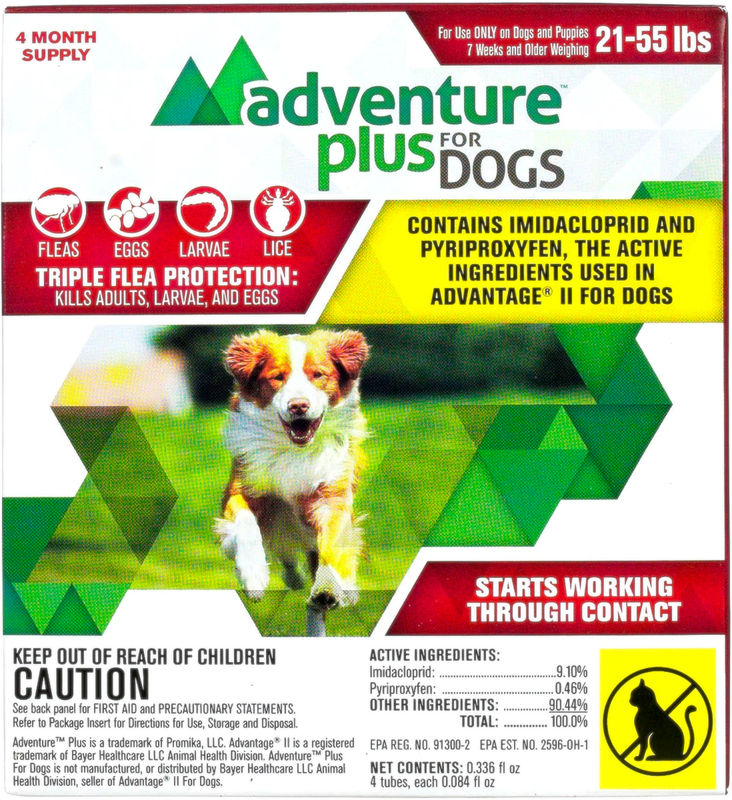 Adventure Plus can be applied to dogs and puppies 7 weeks and older weighing more than 3 pounds. Adventure Plus is manufactured and packaged in the United States. 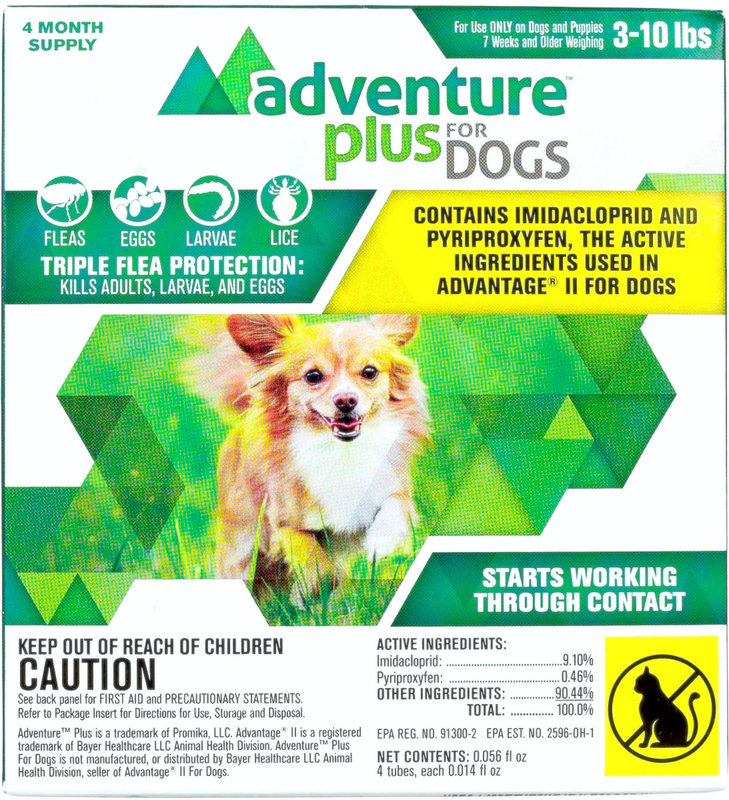 Adventure Plus contains the insecticide imidacloprid and the insect growth regulator pyriproxyfen, which inhibits the development of flea eggs and prevents immature flea life-stages from developing into the next stage.